The Motion Picture Association of America has named former US Senator Christopher J. Dodd as its new Chairman and Chief Executive Officer. 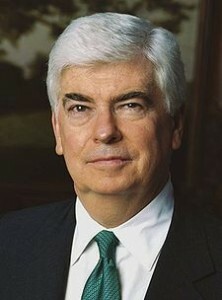 Senator Dodd, who completed five terms in the US Senate in January, will assume his new role on March 17th. The MPAA serves as the voice and advocate of the American motion picture, home video and television industries from its offices in Los Angeles and Washington, D.C.